Apple recently changed its bagel emoji in response to criticisms that it didn’t look delicious enough, and soon we may see it revise its squid emoji in order to make it more anatomically correct. 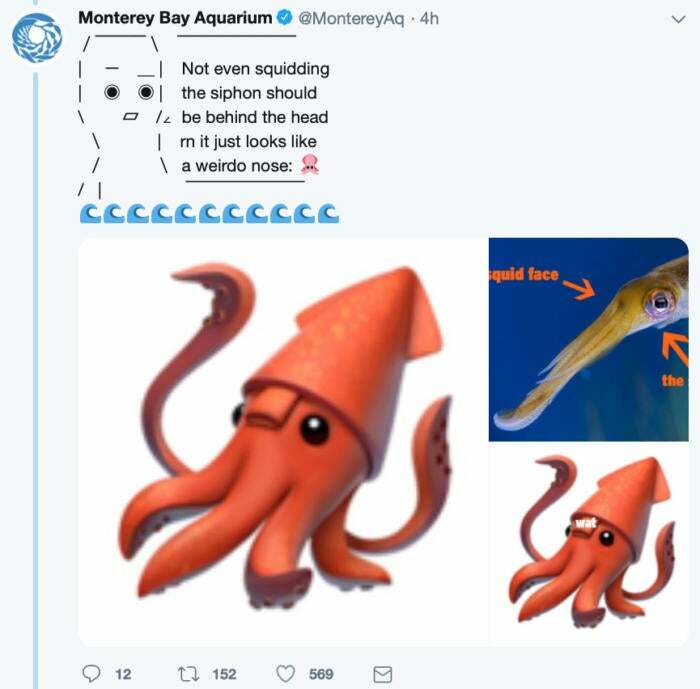 Earlier on Wednesday, the Twitter account of the Monterey Bay Aquarium in Monterey, California produced a series of tweets explaining the inaccuracy alongside a photo of a real squid. The Monterey Bay Aquarium has known about this error ever since the squid emoji first appeared on iPhones since December of 2016, but didn’t bother bringing it up. Something like this happens often. The Monterey Bay Aquarium has amassed a following of more than 151,000 people partly thanks to its habit of repurposing trendy memes in order to educate followers about ocean life, and this was but another example of that practice. Considering that this inaccuracy survived for two years without most users noticing, it's rather clear there needs to be more awareness. Plenty of other accounts try to harness the viral potential of memes in this way, but few manage to pull it off with such effectiveness and charm. Last week, for instance, the aquarium garnered over 27,000 faves by harnessing the seemingly unrelated “Ladies, if he…” meme to explain how porpoise teeth differ from those of dolphins. It's hard to say if Apple will change the emoji in response. 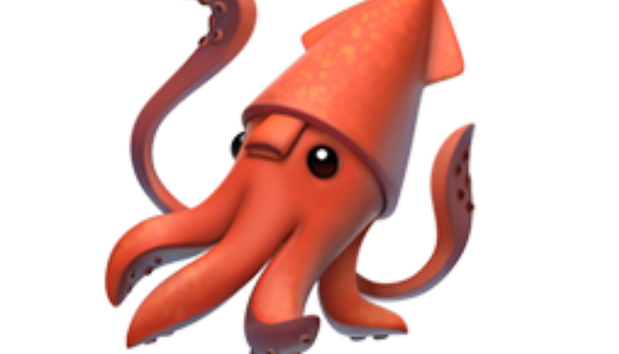 We’ve seen how quickly it took action with the bagel, after all, although—more to the point—the Cupertino company still hasn’t altered the octopus emoji to make it look as though it has eight appendages rather than four. All things considered, we’d say an anatomically incorrect squid warrants a change more than a bagel without cream cheese.